The atmospheric concentration of CH4 has been increasing rapidly in recent years. Because it is a radiative trace gas and takes part in atmospheric chemistry, the rapid increase could be of significant environmental consequence. The scientific report of the Intergovernmental Panel on Climate Change concluded that a 10 to 15% reduction in the CH4 emission from individual sources would stabilize the concentration in the atmosphere. Of the wide variety of sources, rice paddy fields are considered as an important source of atmospheric CH4, because the harvest area of rice has increased by about 70% during last 50 years, and it is likely that CH4 emission has increased proportionally. Recent estimates suggest that global emission rates of CH4 from rice paddy fields account for about 4-19% of the emission from all sources. Due to a large amount of the global emission, the reduction in CH4 emission from rice cultivation is very important to stabilize atmospheric concentration. In addition, because of the possibility of controlling the emission by agronomic practices, managing rice cultivation must be one of the most likely means of mitigating CH4 emission. Like any other biogenic sources, CH4 is produced by the activity of CH4 producing bacteria, or methanogens, as one of the terminal product in the anaerobic food web in rice paddy soils. Methanogens are known as strict anaerobes which require highly reducing conditions. They can metabolize only some restricted compounds as a substrate which provides energy for their growth. After the soil was flooded, the redox potential of the soil decreases rapidly by the sequential biochemical reactions. The progress of soil reduction is controlled by the relative abundance of electron donors and electron acceptors in the soil. The ratio of CO2 to CH4 produced in several paddy soils varied by more than a factor of 10 and correlated with the relative capacity of oxidation to reduction of the soils. Flooded paddy soils have a high potential to produce CH4, but part of produced CH4 is consumed by CH4 oxidizing bacteria or methanotorophs. It is known that microbia-mediated CH4 oxidation, in particular, aerobic CH4 oxidation; ubiquitously occur in soil and aquatic environment, where it modulates CH4 emission. In rice paddy fields, it is possible that a part of produced CH4 in anaerobic soil layer is oxidized in aerobic layers such as surface soil-water interface and the rhizosphere of rice plants, and the net emission will be positive or negative depending on the relative magnitudes of methanogenesis and methanotrophy, respectively. Interesting read– What is mulching. From the above knowledge of the processes involved in controlling CH4 emission from rice paddy fields, it is concluded that the possible strategies for mitigating CH4 emission from rice cultivation, therefore, can be made by controlling production, oxidation, or transport processes. Since methanogens require highly reducing conditions for their activity, arresting the development of soil reduction is one of the most effective ways of decreasing CH4 production rate in soils. This can be accomplished by aerating soils during the flooding period with altering water management, or by inhibiting the progress of the sequential redox reactions with adding chemicals. Changing tillage may yield same effect on soil reduction. These options may simultaneously enhance CH4 oxidation rate in soils. Reducing the amount of labile organic matter in soils by composting organic fertilizer or promoting aerobic decomposition of biomass is another effective way of controlling CH4 production in soils. Since rice plants also have a significant contribution on production/oxidation of CH4 in the rhizosphere and its transport to the atmosphere, selection of rice variety that emits small amount of CH4 may also be effective to mitigate CH4 emission from rice paddy fields. In summary, the options that are agree with the above strategies include altering water management, using application of mineral fertilizer or soil amendments, improving organic matter management, changing tillage, rotation, and selecting rice varieties. Results indicate that short-term draining practices strongly reduce CH4 emission from rice paddy fields, and that improvement in water management can be one of the most promising mitigation strategies for CH4 emission from rice paddy fields. The rates of water percolation in rice paddy fields also have an influence on CH4 production and emission, because water percolation influences chemical conditions in flooded soils. It controls the thickness of the surface aerobic layer that overlying a thicker anaerobic layer, which is important for CH4 oxidation activity. It also contributes vertical transport of chemical species and microorganisms in soils by leaching. Urea fertilizer, much used in Asia, had the highest methane emission rate followed by ammonium chloride and ammonium sulphate in decreasing order. Prilled urea did not enhance methane emission, urea super granules applied under water and soil was an effective methane inhibitor. A mix of prilled urea and Neem cake (a nitrification inhibitor) was most efficient at reducing methane emission. 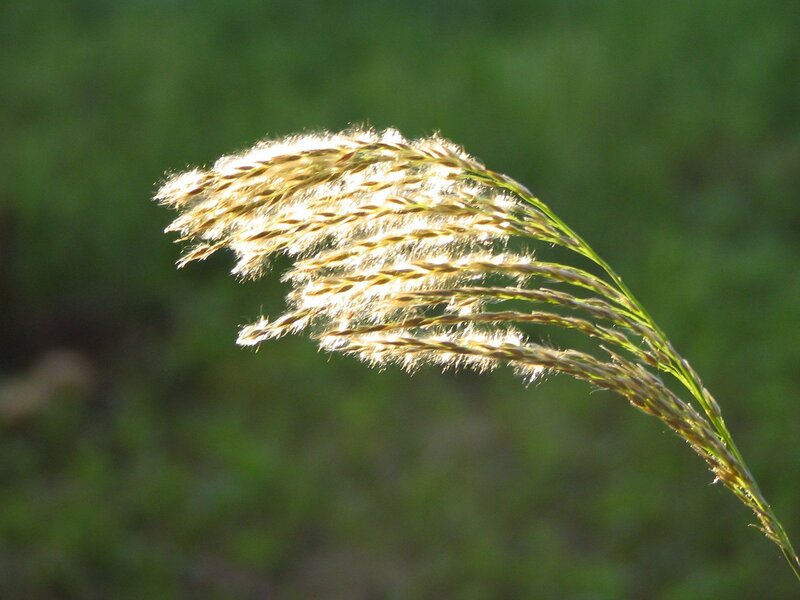 Application of nitrification inhibitors, nitra pyrin and especially wax-coated calcium carbide retarded methane emission from paddy fields without lowering yield and could be an alternative to intermittent irrigation. Ammonium thiosulphate is a suitable option to mitigate methane emission during flooded rice cultivation. Ammonium thiosulphate lowered the methane emissions by 38-60% depending on how much was applied. In world’s rice cultivation, fresh organic matter is often applied as green manure. Sometime, animal wastes are also applied solely or after mixed with rice straw. 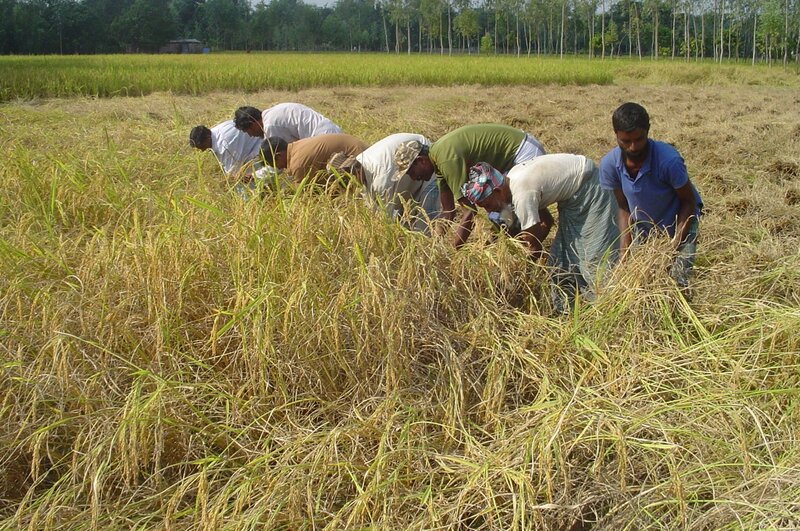 In the fields, a part of the biomass of previous crops and weeds remain in soils at the start of rice cultivation. Such organic matter is decomposed in soils and act as an electron donor and a substrate of fermentation reactions. Therefore, organic matter management have a significant effect on CH4 production in soils. As the soil temperature increases methane and nitrous oxide emissions are observed to increase as well. Temperature affects all the three major processes that cause methane emissions from rice fields, namely production, oxidation and transport. The rate at which bacteria can degrade organic matter is a chain of several steps and each step has temperature dependence, thus causing variability in the system. Similarly, methanotrophic bacteria that oxidize methane are also stimulated by increasing temperature. But since they remove methane, their increase with temperature offsets the effect of the higher production by methanogenic bacteria. This causes the temperature response to be greatly moderated. Within these competing processes, the transport also plays an important role. If the transport speeds up with increasing temperature it favors a greater emission because the methane produced does not spend enough time near the methanotorophs to be effectively oxidized. Different tillage practices change physical and chemical properties of the plow layer soil. Deep tillage increases the contents of free iron oxide and easily reducible manganese in the plow layer soil because a part of these compounds in the plow layer soil is leached out and often accumulated in the sub-plow layer soil. This option has been also adopted against Aki-ochi in Japanese rice cultivation. No-tillage may have the same effect as the surface placement of organic matter and might reduceCH4 production and emission. Flooded rice and upland crop rotation may change soil properties, organic matter decomposition, and microbiological flora. The effect of this option on mitigating CH4 emission should be tested. Selecting and breeding rice cultivars that emit lower CH4 are a desirable approach because of easy adoption. 1) Selecting the varieties that have low exudation of carbon from roots. 2) Selecting the varieties that have the efficiency of a low CH4 transport and a high CH4 oxidation in the rhizosphere depending on the specific aerenchyma system in roots and shoots. 3) Selecting the varieties that have a higher harvest index in order to reduce organic matter input into the soil after harvest. 4) Selecting the varieties that are suitable and have a high productivity when the other mitigation options are performed. The major factors that control methane emissions from rice fields and to estimate the numerical values of the parameters that connect emissions to fertilizer use and water management along with other environmental and agricultural variables.